I always loose my malas. I only ever accept these as gifts, so I can never replace them when I lose them. 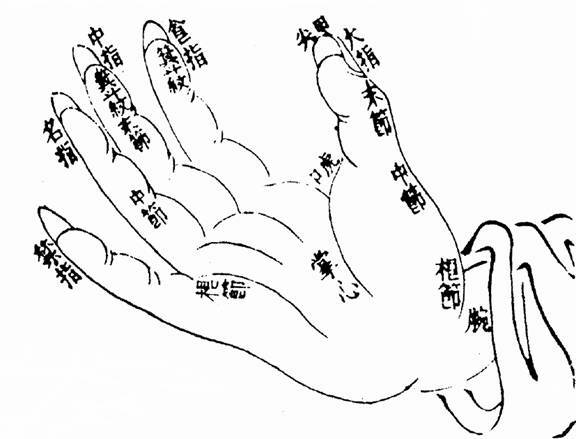 I think these are very useful devices, and so one of the techniques I’ve used in place of a mala is by counting on my fingers. I have an old habit of doing metta meditation in the kitchen. Whether over the stove, washing dishes or scrubbing the floor, I fall into the habit of reciting lines of metta (loving kindness) in my head. So it was late last night when I was washing dishes, as the soapy water poured over my hands and I began cycling through lines of metta, that my mind finally broke away from yesterday’s Angry Asian Buddhist post. I was stunned. Until that moment, my thoughts were filled with a storm of past blog comments and potential replies. And I wasn’t even aware of it. This little Dharma Folk blog is usually pretty low key when it comes to internet traffic, so the past couple of days have been unusual, to say the least. I got caught up very quickly in an inconsequential back-and-forth about the place of Asian Americans in the Buddhist community. All the attention toyed with my ego and I took the bait. There were a lot of great comments on the Angry Asian Buddhist post, and they all are worth talking about more in detail. But I thought I’d talk about something else: anger, frustration and stress. About a year ago, I went to visit a local temple for the first time. I was greeted by a friendly monk and he showed me the grounds. He had big ears and a warm smile of ease. Soft spoken as he was, the howling wind and chimes made it difficult to say much, so we decided to sit down. Settling in the main hall, I was struck by how simple it was. Nothing more than a small living room with a bare rug over a wooden floor. There was a moderately sized statue of Gotama against one wall, a bench and clock against another, and a short coffee table in the middle. I sat and faced the venerable, who was no more than three feet away, as he gave a short dhamma talk. While his talk on the importance of kindness was good, he actually didn’t have to say anything. From the moment he let me in, showed me around, and sat down, his kindness and simplicity radiated. It seemed to me he lived and breathed with complete sincerity, just as he spoke. He was the very image of what he had taught. We could have just sat there and said nothing and it would have been just as nice. The venerable then guided me through meditation. After tapping the bell, and throughout the meditation, he would occasionally utter the words, “May I be well, happy, and peaceful.” After some time, it would be extended to parents, teachers, relatives, friends, indifferent persons, enemies, and all living beings. For twenty minutes that’s all that mattered, sitting and hearing those words. Wind blowing, chimes ringing, clocks ticking, my thinking, all subsided. All of it drowned out in the silence and in the soft words of love. I could not find anything like this in my books. Such lightness must have been what it was all about. I had my first taste of freedom. Confession: I live in Los Angeles and I ride the bus. I don’t do it by choice, I don’t have a car. But I’ve used my ride to work as a daily opportunity to meditate. It’s a 27 minute trip. I sit down, close my eyes, place my hands on my knees and focus on my breath. Indeed, it’s bumpy, sometimes smelly, always noisy. Most mornings, I hear people talking on the phone in Spanish, Tamil or Kannada. But in any event, if I can catch my mind wandering, then I can always tug it gently back to the breath. On some days that ‘tug’ is more of a strong ‘yank’. Over the past month, I’ve changed the focus of my meditation from the breath to loving kindness. I guess I just wanted to be more of a metta-kind-of-guy. I mean, wouldn’t you want to work next to someone who was always radiating metta? Now that I do loving kindness on the bus, this meditation has taken a less traditional structure. I start my meditation focusing metta on myself, and then I focus sequentially on each passenger (and the driver too). I’ve found true benefits. On the bus, I’m always making quiet judgments (“Please don’t sit next to me!”). Metta meditation is the exact opposite (“May you have a great life! May you have no troubles! May you overcome all obstacles!”). How pleasant to use positive thinking to confront negativity at the very moment (or even before) it arises! Bus meditation also has its unique challenges. People are getting on and off all the time, and it’s hard to give each of them their fair share of loving kindness. It can feel like doing mental acrobatics as five people all step off the bus at once! Finally when it’s my turn to hop off, I stand on the corner and wish loving kindness to the whole bus. May you be kind, peaceful and free from suffering. May all beings be happy, peaceful and free from suffering!